Designated as natural monument #53, the Jindo dog is an integral part of Korea’s national identity. Known for its loyalty, bravery and innate hunting capability, the Jindo dog has lived side by side with the Korean people for generations, dating back to as early as the Goryeo Dyansty of the 10th century. 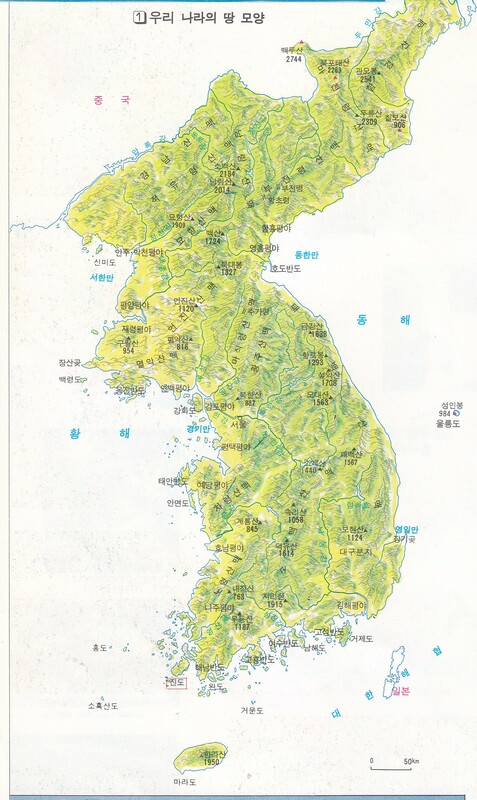 It is called “Jindo” dog because it originated from the island of “Jindo” located on the South-eastern tip of the Korean peninsula, just across from the Haenam County on the mainland (see map on the right). There are some contending accounts of the dog’s exact origin prior to it settlement in Korea. One account cites the immigrants of the Chinese Song Dynasty (960 to 1279 A.D.) to Korea who brought their dogs to the Jindo island. Others mention the Mongolian invasion of the Goryeo Dynasty in the 13th century during which the Mongolians brought the Jindo dogs to help them hunt the enemies. 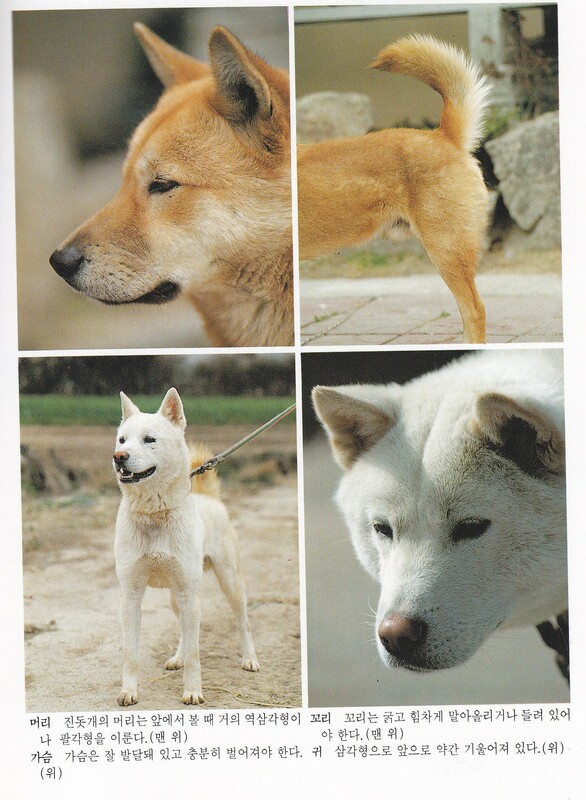 Traditional accounts argue that the Jindo dog is actually an offspring of breeds that had lived in the Korean peninsula since the Stone Age. Despite such contention however, the Jindo dog during its time in Korea has earned the love and trust of the Korean people for a variety of reasons. The Jindo dog is renowned for its loyalty to its first master. There are numerous accounts where the Jindo dog, after being sold to other people, returned to its old master by travelling hundreds of kilometres to find its way home. A dog that was sold as a military dog in the Gangwon-do province returned home to its old master in Jindo island after 1 month; a dog that was sold in the Haenam County bit off its collar to escape and return to its old master. 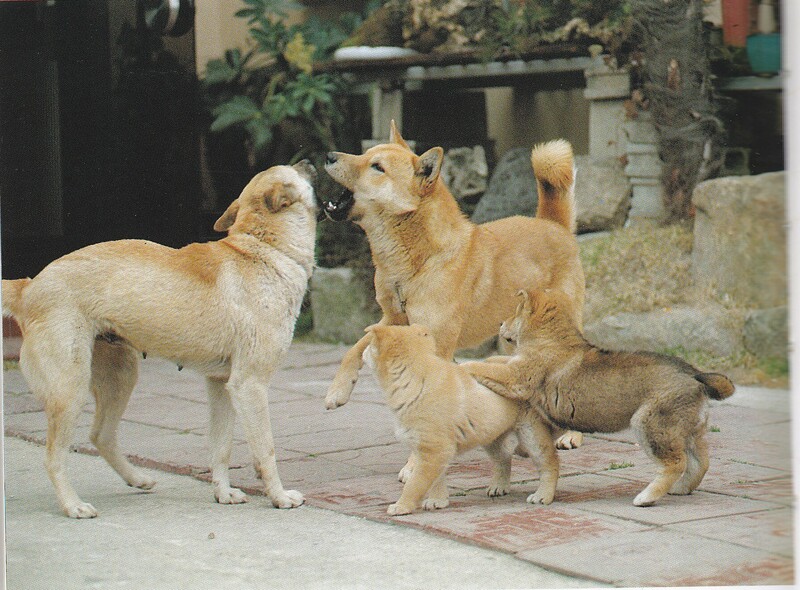 Stories like these are widely known among Jindo island’s dog trainers. The Jindo dog’s bravery is very well known as well. Even whey they encounter opponents twice the size of their body, they do not easily back down. For example, during the Japanese invasion of Korea in 1592, Japanese soldiers, who were trying to take back to Japan a Korean tiger, gave the tiger three Jindo dogs for its meal only to find the tiger dead and the three Jindo dogs covered in blood but alive the next morning. Finally, even without formal training, the Jindo dogs can develop and demonstrate a strong hunting capability. After 5 months, they are able to accurately detect the smell of other animals; after 1 year, they do not hesitate from engaging in wild hunts. It is widely believed that the cause for this natural capacity lies in the historical records of not feeding the dogs sufficiently enough because of scarcity in food which as a result had forced these dogs to relieve their hunger by hunting wild animals. Males present a strong, framed body with a height of 45-58cm, whereas females exhibit a softer, delicate appearance, standing at 43-53cm. Head: When looking face to face, the head should resemble the shape of an octagon or an up-side down triangle. The appearance should show acute tension, with their eyes small and the eyes’ edge slanted upward. Ears: they should be triangle shaped, relatively small, and be standing with a slight forward lean. Mouth and gum: The outer lips should be dark purple while the teeth should have no exposed inner gums. Legs : The front legs should be strong and tall when stretched; the hind legs should have smaller joints and be flexible to withstand jumps and quick movements. Chest and back: the back should be smooth with a small decline from the shoulders to the rear. The chest should be wide and well-developed. Tail: the tail can be seen as the trademark of the Jindo dog. It should point upwards in a curvature, and the length of the tail should be such that when dropped down, it touches the joints of the hind legs. Fur: The colour of the fur should be golden brown or white depending on the breed. The outer fur should be smooth while the inner fur should be soft. The fur on the tail should be a little bit longer than the fur on the body.